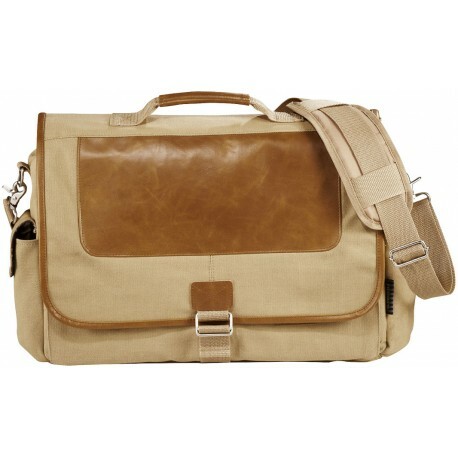 Cambridge Collection 17" laptop Messenger. 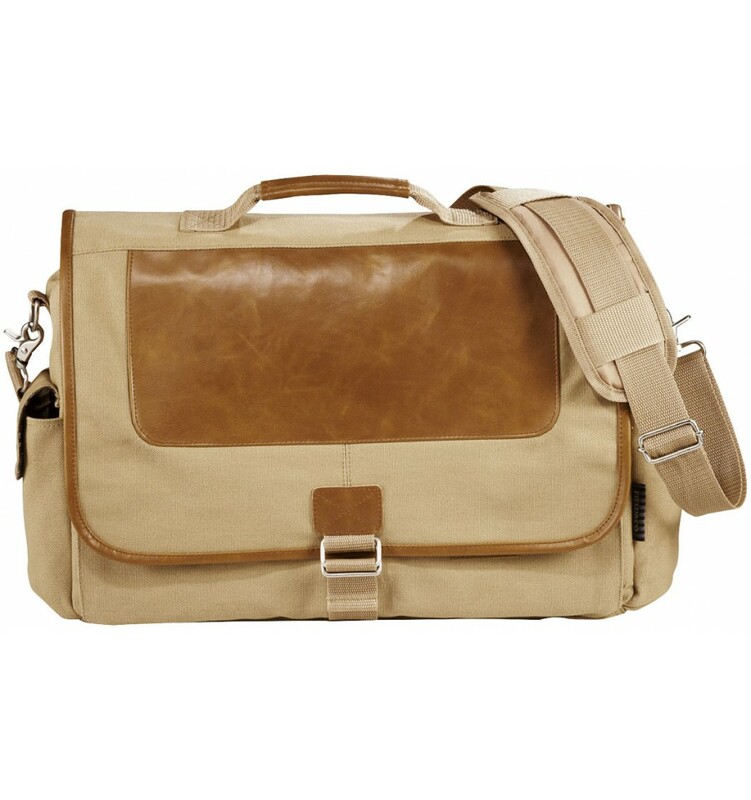 Exclusive and intelligent design laptop messenger for your modern devices. 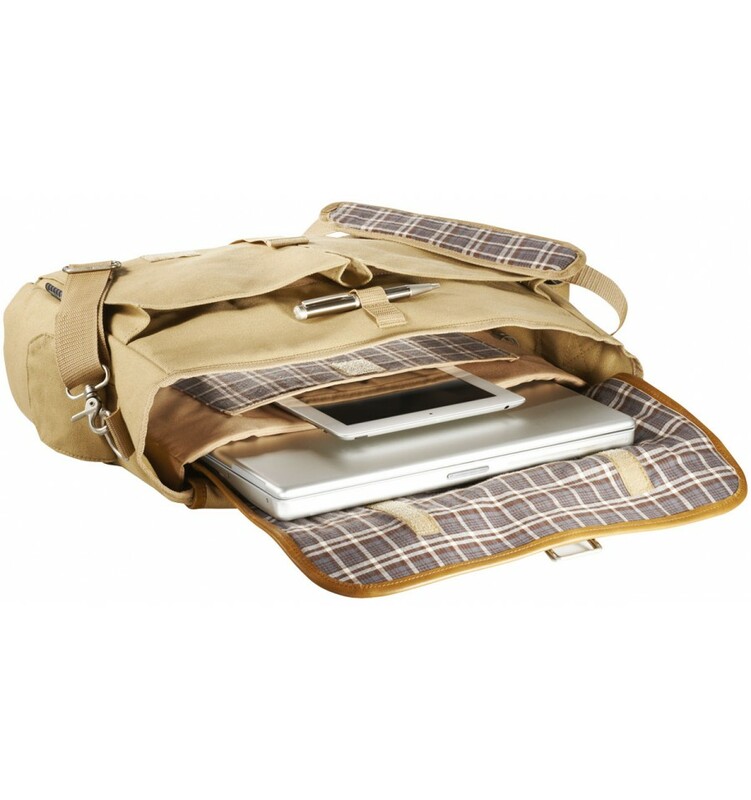 Large main compartment includes padded laptop sleeve and padded iPad or tablet pocket. 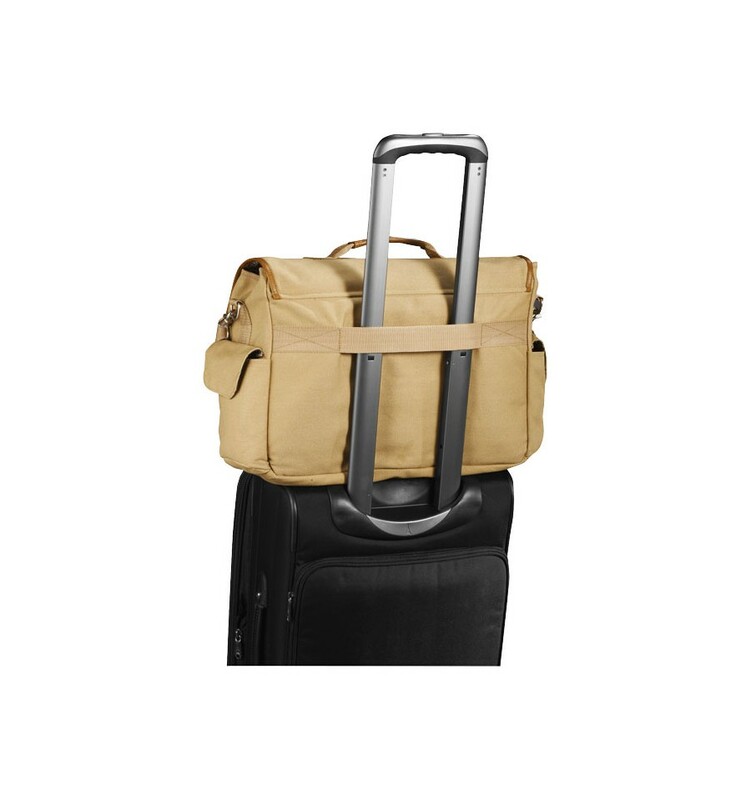 Two large front pockets with flaps protect your additional accessories and the side pocket will hold your water bottle. 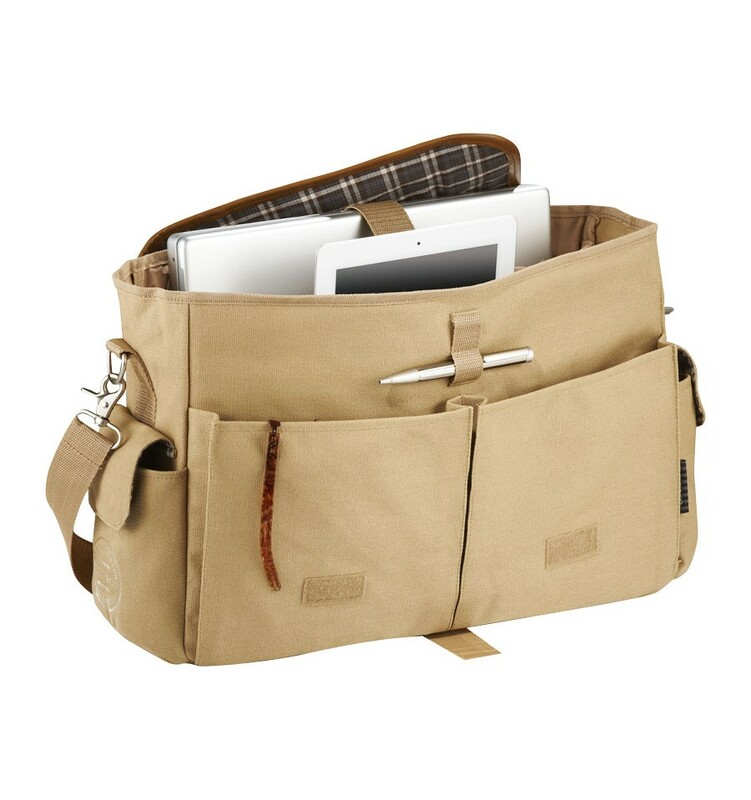 Unique Field & Co.™ vintage branding elements and hardware including a unique Cambridge Collection plaid lining the inside.